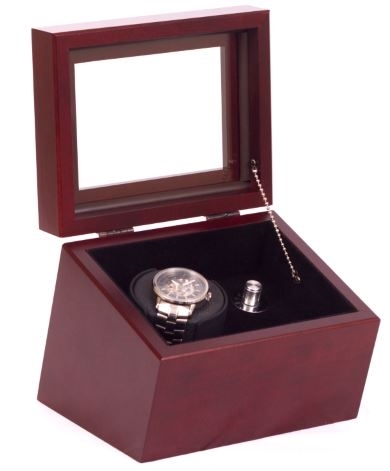 "The Brigadier", Single Watch Winder features 4 programs: clockwise, counter-clockwise, bi-directional, & intermittant. 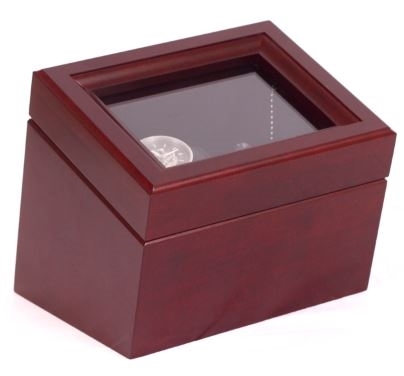 Solid Cherry hardwood in a Cherry or Mahogany Finish with a glass top. Made in the USA. 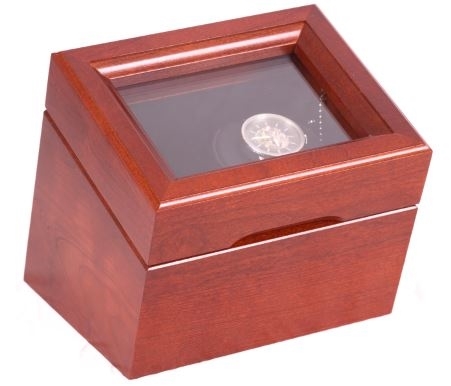 Easy 30 day returns. 2 Year product warranty. 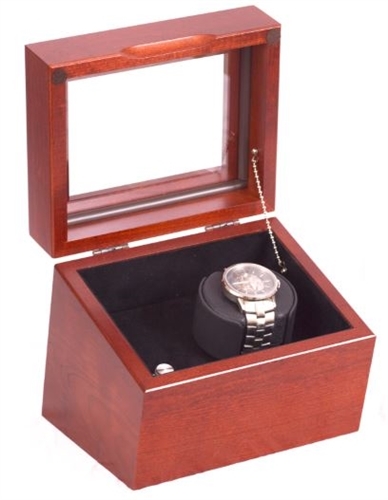 This single watch winder is manufactured by American Chest Hardwood, of solid cherry wood, in New York State. Optional engraved nameplate available for purchase. See related products below.